Foreign Minister Miroslav Lajcak reiterated that in 2018 the 25th anniversary of diplomatic relations between Russia and Slovakia was celebrated. BRATISLAVA, February 11. /TASS/. 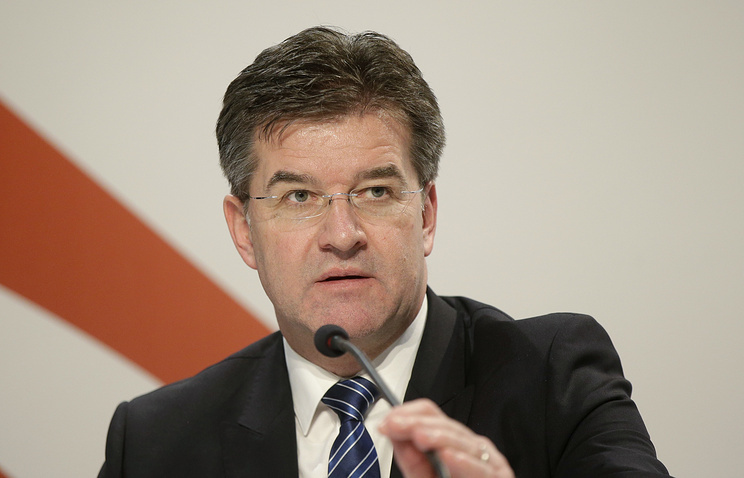 Russia is one of the most important Slovak partners, and the republic is interested in the development of constructive cooperation with it, Slovak Minister of Foreign Affairs Miroslav Lajcak said in an interview with TASS. "Slovakia is interested in pragmatic and constructive relations with Russia with focus on the development of cooperation in the spheres of energy, trade, tourism and investments, including direct cooperation between the regions of both countries," the minister noted. "Russia is one of the main trade partners of the republic outside the EU." He supported the continuation of the long-term cooperation between Russia and Slovakia in the transit of energy sources through the EU. Lajcak reiterated that in 2018 the 25th anniversary of diplomatic relations between Russia and Slovakia was celebrated. The political dialogue continues, and cooperation in the spheres of culture and education is developing, he said. "We achieved progress in the development of regional cooperation and interaction between cities. The 19th session of the Intergovernmental Commission on Economic and Scientific-Technical Cooperation in the town of Vysoke Tatry (Eastern Slovakia) was carried out successfully," the minister said. Despite the sanctions of the European Union, the minister sees good prospects for the trade-economic cooperation of the two countries. "I am confident that trade-economic cooperation requires our close attention, as there is great potential in this area which was not fully unlocked. Russia is Slovakia’s old major business partner. After two years of the decrease of trade turnover, we managed to increase it again in 2017. I hope that this positive trend will be preserved in the future," he noted.